The third Sunday in June is Father’s Day in the US, a day officially designated by President Richard Nixon in 1972 to celebrate the fathers in our lives. On this day, we pamper fathers with food, drink, fun activities, gifts, cards, and other indulgences to show them how important they are to us. Fathers are celebrated around the world, too, often on March 19, the Feast Day of St. Joseph, the father of Jesus Christ. Some cultures share St. Joseph’s Feast Day, Father’s Day, and Ascension Day all at the same time, on the Thursday that is the 40th day after Easter. 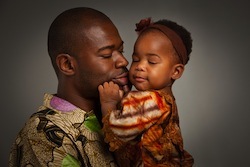 In many countries, fathers are showered with special treats similar to US traditions but some cultures celebrate Father’s Day with unique style. Australia — Father’s Day is the first Sunday in September, which is also the first day of spring in The Land Down Under. Brazil — St. Joachim, the father of the Virgin Mary, is celebrated, along with all Brazilian fathers, on the second Sunday in August. Germany — Since the 18th century, men have been banding together on Ascension Day to celebrate Vatertag (Father’s Day) with a communal trek into the farmlands. From young teens to village elders, men fill wagons (bollerwagons) with food and beverages (ham and beer are must-have items) and set out on a hike that often ends up at a favorite pub, beer garden, or town square celebration. Father’s Day is an official observance so many schools and businesses are closed the next day, too, allowing the celebrations to continue unabated for a four-day weekend. Japan — Chichi no hi is traditionally celebrated with feasts abundant in seafood and small gifts from one’s children. Russia — All Russian men are celebrated on February 23, Defender of the Fatherland Day (also called Men’s Day). This tradition started out as a military tribute but now honors all Russian men with parades, processions, and they are presented with small gifts from the women in their personal and professional lives. South Africa — Picnics and fishing rule the day here, where the father’s catch will be served up for a supper-time family feast. Thailand — December 5 is the birthday of the current king so that’s when Father’s Day is celebrated in Thailand. Fathers and grandfathers often receive gifts of canna lilies, a symbol of masculinity, and many people wear yellow since that color commemorates Monday, the day of the week King Bhumibol Adulyadej was born. All-day celebrations in the palace park include the king’s annual speech, declarations of faith, and lighting of candles. Similar celebrations take place throughout the country and Thais abroad often celebrate in traditional fashion, too. No one really knows when the first celebration of fatherhood took place but many trace it back to Babylon 4,000 years ago. A young boy named Elmesu is said to have carved a message wishing his father good health and a long life onto a card made of clay. Elmesu’s may not have been the first Father’s Day card ever written but is the oldest one yet to be found.